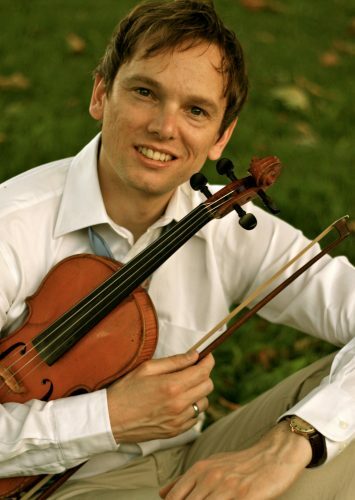 Edward Top has a diploma in violin teaching at the Rotterdam Conservatory in Holland, and a Masters degree in Musicology at King’s College London. He has over 15 years of experience teaching beginners to advanced level musicians. He has successfully prepared students for entrance into Eton College and Harrow School, and several students have since continued their training as professional violinists. Edward has performed as a violinist with Holland Symfonia, Bangkok Symphony Orchestra, and worked as a session player when he made commercial recordings at Abbey Road Studios. He also worked as a soloist with conductor Henk Guittart, performing Alban Berg’s Chamber Concerto in Holland and Germany. Edward uses different teaching techniques based on Suzuki, Sheila Nelson and Colour Strings, which have proven to be effective in preparing individual violin and viola students for exams such as the RCM (Canada), ABRSM (England) and AMEB (Australia). He enjoys teaching in various settings, and has fond memories of teaching inner-city school children in London. He also brings other teaching experiences such as highschool grade 11-12 IB Music Diploma Programme (International Baccalaureate), composition, music theory, musicianship and music history. Edward is currently the Composer-in-Residence with the Vancouver Symphony Orchestra. In early 2013, the VSO performed the commissioned work Totem on tour to the U.S. West Coast. He has won several international prizes for composition, most recently, the 2 Agosto Competition 2012 in Bologna, Italy.